Asagi Nakata was born in 1995 and is in her third year at the Royal Academy, studying with Professor Christopher Elton. She previously studied with a scholarship at the Junior Department of the Royal College with Professor Ian Jones. 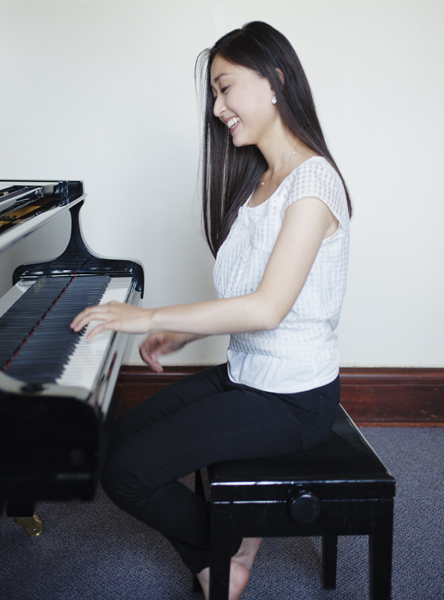 She has won several competitions including the EPTA Belgian International, Franz Liszt Weimar (2009), the Beethoven Piano Society of Europe Junior (2010) and was runner up in the Windsor International Piano Competition in 2015. 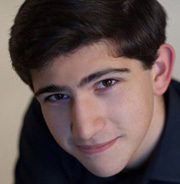 Other successes include First Prize in the Marlow International Concerto Competition (2007), Third Prize in the James Mottram International Competition (2008), and Fourth Prize in the Ettlingen International Competition (2010). Asagi has performed at the Wigmore Hall, Cadogan Hall and St. James’s, Piccadilly, and is a regular soloist in the St. Paul’s Bedford Lunchtime Concert Series and the Emmanuel United Reform Church, Cambridge Lunchtime Concert Series. Performances abroad include Japan, Holland, Belgium, Prague, Germany in the presence of Alfred Brendel and Poland where she was invited as guest performer at the 64th Duszniki International Chopin piano festival. She has performed with the Philharmonic Chamber Orchestra of South Bohemia, Southbank Sinfonia and Finchley Chamber Orchestra. She has participated in Masterclasses with Lang Lang, Stephen Hough, Yevengy Sudbin, Klaus Hellwig and Pascal Devoyon. Asagi is grateful for the support from the Drake Calleja Trust, Talent Unlimited. She is also a Concordia Foundation Artist. In her spare time Asagi enjoys cooking and learning German. In recognition of her high achievements in music at the Royal Academy of Music, Asagi received the Greta Parkinson Prize, Vivian Langrish Prize and the Peter Latham gift.